The Queensland Government’s interest-free loans and grants for solar power and battery storage were announced with much fanfare last year. So, where is the initiative at now? The scheme finally kicked off in November 2018. It initially offered grants of $3,000 and interest-free loans of up to $10,000 for 1,000 solar power and battery storage systems, along with grants of $3,000 and interest-free loans of up to $6,000 for 500 solar battery systems. It was then extended to cover 2,500 packages across both. According to a QLD Government announcement yesterday, 2,150 applications have been lodged to date, up from 1,200 in December. Based on those figures, the program has lost some momentum – 1,200 applications in the first couple of weeks, then another 950 over the following two months. There was little information on how many applications have been approved, aside from mention that around 140 Sunshine Coast applicants have made it over the line. Queensland Energy Minister Dr Anthony Lynham said regional households and small businesses in the state accounted for around a third of the 2,150 applications. “The Sunshine Coast is one of the fastest-growing areas in the country, and clearly residents here are big fans of renewable energy, with the region number four on the list for uptake of the scheme after Brisbane, Gold Coast and Moreton Bay,” he stated. Under the program, quotes must be sourced from an eligible battery supplier for an eligible battery system. 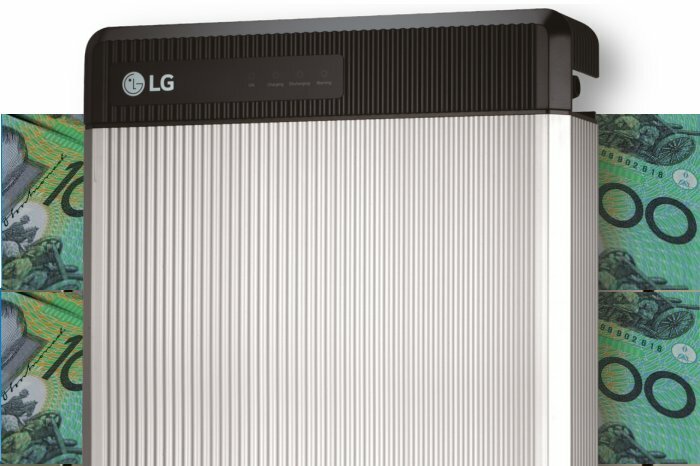 Some of the energy storage systems you’ll find details of on SQ’s solar battery comparison page and as for the companies eligible to install them, you can check the list against our solar installer reviews database. Also available are interest-free loans of up to $4,500 to purchase a solar power system only, however, eligibility is very restrictive. “There are limited places still available for grants and loans and I encourage anyone interested to get online before it’s too late,” stated Dr. Lynham. If you’re a solar power system owner and interested in buying a battery under the scheme, before you dive in you may want to check out an article by SQ’s Ronald from December last year that advised caution. Even if prices of eligible batteries have dropped since that time, you should crunch the numbers to determine if the offer makes financial sense for you. Previous Article: Is ARENA Wasting Your Money On Useless Consultant Reports? I’ve just started building in the Sunshine Coast, should I wait for a better scheme to come along, or just ignore this all together? If you are interested in same money it’s best to ignore it altogether. In the future batteries will hopefully be cheap enough to save you money but even with a $3,000 battery grant they aren’t there yet. I had 6 panels installed when the scheme was first started in about 2008, we were meant to get 9 but for some reason only 6 came. Anyway since I have already received a grant for the solar system can I add another 6 or more panels to improve it and keep my 45cent feed in Tarrif? Or am I limited in what I can now do? I don’t mind if I get a reduced tariff as long as more panels gives a greater return than that 45c from 6 panels would have given me. 2. Check with your distributor before adding extra panels, systems or batteries. Despite having only having 6 panels your panel capacity may already be at or around your inverter’s capacity. If you have the original documentation you should be able to check this. Otherwise you can get an idea by looking at how much power your system generates when the sun is more or less directly above the panels on a clear day. 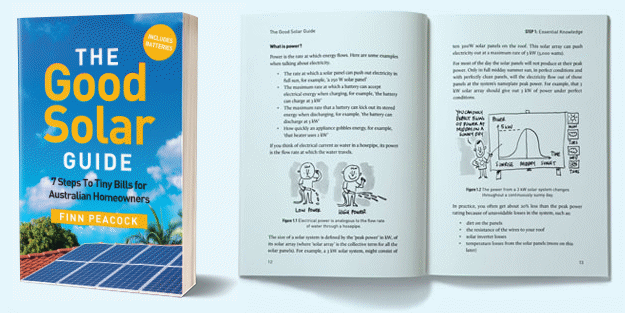 If your solar system’s power output is 70% or more of the inverter’s capacity your panel capacity is probably at or near the point where you can’t add more panels and keep your high feed-in tariff. You won’t be able to come out ahead by adding 3 more panels and losing your high feed-in tariff. You may come out ahead by removing it and installing a large new system, but whether or not that will be worthwhile for you will depend on your electricity use, budget, and personal preferences.